[VIDEO] House Minority Leader Nancy Pelosi was all over the map in an interview today and wound up using the phrase ‘Collateral Damage’ when talking about Democratic Party actions. That particular phrase is used a lot by the military to describe damage to things other than what was actually targeted. That phrase has a built-in violent connotation to it. You tie that in with suggestions of condoning violence against conservatives from other Democratic Party members and you have to wonder if this is another veiled threat. The Left seems more and more prone to violence since their loss of legislative powers. What do you think see meant? House Minority Leader Nancy Pelosi endorsed “collateral damage” against Americans who do not share the views of the Democratic Party during an interview over the weekend with left-wing New York Times columnist Paul Krugman. Pelosi made the remarks on Sunday in New York City at an event hosted by the 92nd Street Y where she spoke about the Democratic Party’s agenda. 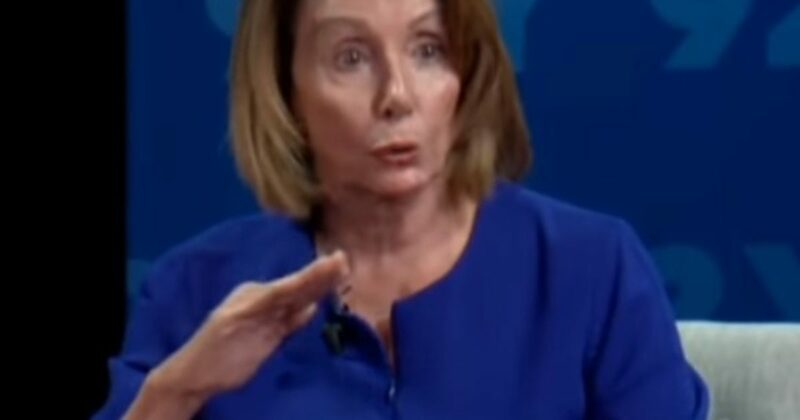 Pelosi’s inflammatory language comes as political tensions across the U.S. have turned violent in recent months with much of the violence coming from the political…..